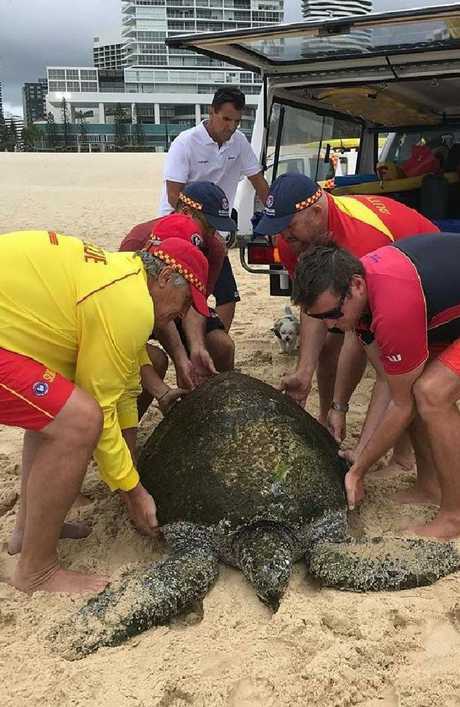 AN elderly turtle has been rescued from one of the Gold Coast's busiest beaches by lifesavers this morning. 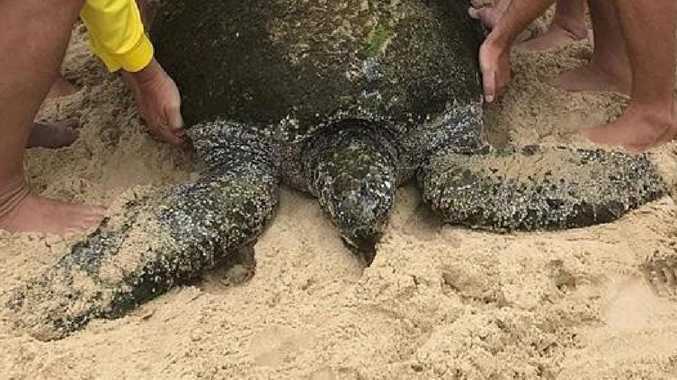 The male turtle, tipped by experts to be aged between 60 and 70 years old, washed up at Broadbeach's Kurrawa Beach in a bad way when it was rescued by clubbies who helped bring the creature ashore. 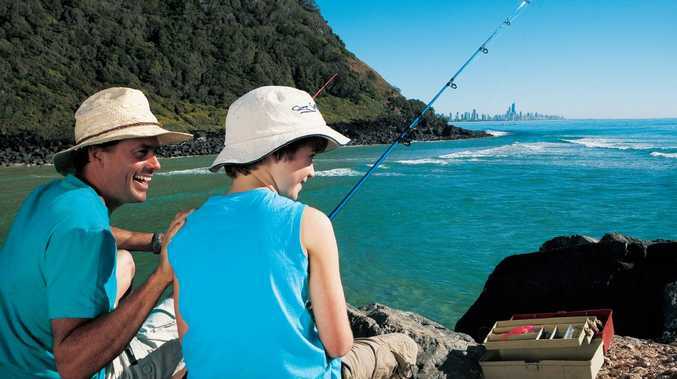 It took five people to lift the turtle, which the clubbies affectionately named Kurrawa. Sea World staff were called in and found the turtle was weak and tired and suffering from a sunken belly, mostly likely as a result of eating plastic. Kurrawa was taken to SeaWorld where he is recovering in a freshwater bath.